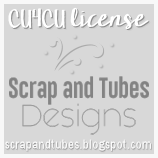 For this tutorial, I will be using Arthur Crowe's Warrior Pink Tube and Kit. You can purchase it at Arthur Crowe's Factory site. You must have a license to use his tubes. Let's start off by opening a blank 600 x 600 canvas. Using your magic wand, C/P into selection SF20WarriorPink_KITPaper (3). Thank you for viewing my tutorial. I'll love to see your results of it. If you try it, please send to agelesskarmacreations@gmail.com.